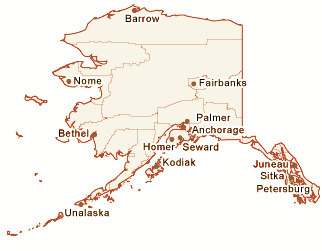 Information for filing Alaska Unemployment Insurance Benefits. June 21, 2012: If you're an employer or a manager then work place absence is costing you money, inconvenience, and upsetting your customers. And as we all know, not all days taken off work are due to genuine sickness. Many employees "take a sickie" because their morale is low and they just don't like or can't do their work. June 17, 2012: The challenge for employers and managers is to make people happier at work. And if people are happy at work then they are less likely to take a day off every time they wake up with a stuffy nose. Some bosses think that paying more money, improving job security or working conditions is the answer. It isn't and it's also something that can be very hard to achieve. June 12, 2012: People who employ or supervise other people need to become more tuned to their employees' emotional needs and find out what really motivates them. This is also much easier to achieve than paying more money or improving job security, however there is no quick fix. April 10, 2012: You need to get better at interviewing and selecting people. They need to pay more attention to the applicant's human side rather than their qualifications or experience. Get to know them better. Find out what makes them happy, how well they get on with other people and how much energy and enthusiasm they have. Make sure they know what they're getting into and be sure the job suits them. April 19, 2012: need to believe in your people. If you've interviewed well and picked the right person for the job then you need to trust them to do that job. You need to constantly demonstrate to your people that you trust and believe in them by what you say, your tone of voice and your body language. If you believe that your people are not to be trusted, that they're unable to make a decision without checking with you. That they'll turn up late and go home early, then that's exactly what they'll do. March 26, 2012: As with all theories there is no guarantee that it will work every time, however the majority of employees are reasonable people and if you treat them as such then they are more likely to behave in a positive manner. The third and probably the most important thing you can do to reduce abscence and motivate your people is to give them feedback and coach them. This is where so many employers and managers fall down in dealing with their people; they're hopeless at giving feedback. Many managers are uncomfortable telling staff how they feel about their work performance. Most employees want to know how they are performing in their job; they want to know if they are doing it right or how they could do it better. If you really want to motivate your people then you need to give them feedback on what they're doing well and what needs improvement.